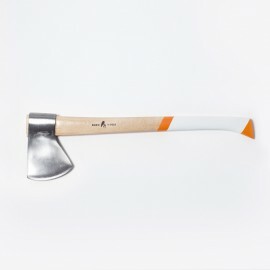 Guipuzcoa Axe Ilargi Ahoa / High steel F-114 with 0,45% of carbon and Rockwell hardness of 55 HRC / Moon profile Axe head / Beech handle carved by hand / 800gr Axe of forged steel / Bridle blade guard made with Spanish leather tanned with tree barks and lubricated with vegetable oils / Hand-crafted with natural linen waxed with beewax / Brasswork / Sharpen by hand with file. These axes are Guipuzcoa type, those developed by the blacksmiths from the Vizcaina Axe -of more straight geometry- considering the adjustments suggested by the charcoal-burner of the area. 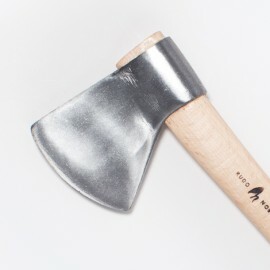 The Vizcaina Axe is the French type, the one that travelled to North America and then someone developed into the classic profiles of the East Coast of the USA. 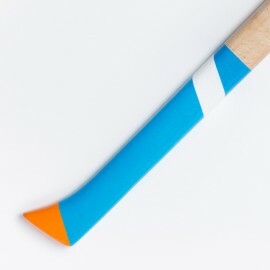 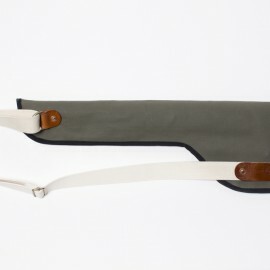 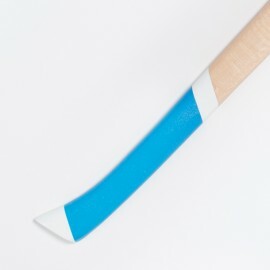 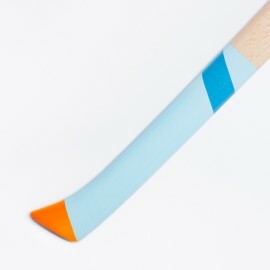 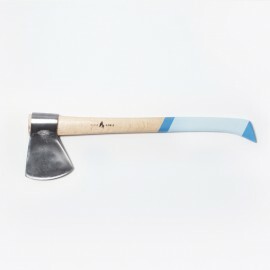 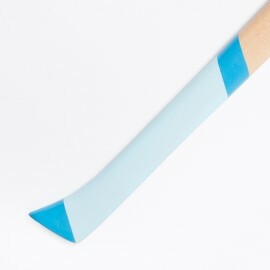 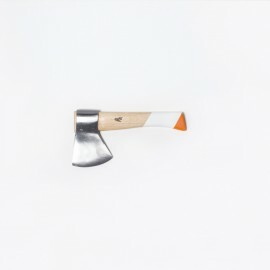 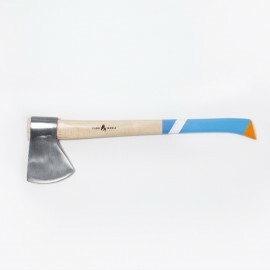 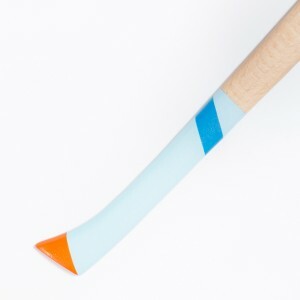 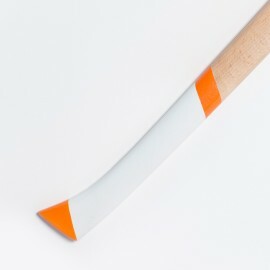 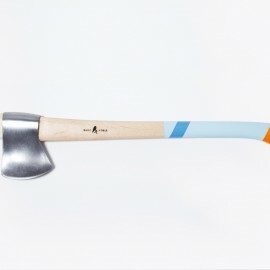 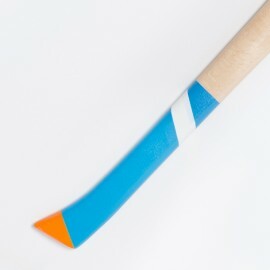 We have selected the Guipuzcoa Axe because of being more curious and original of our country. 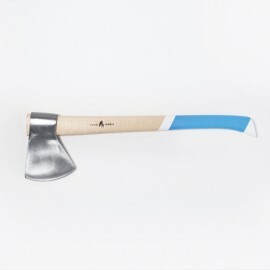 The mouth of the axe head is curved (like the moon) and suddenly it gets thicker; Ilargi Ahoa or Moon Mouth profile, that’s how was named by Caro Baroja at his book titled The Basques. This type of profile make easier not to get stuck into the stump and to take the axe out from it effortless. 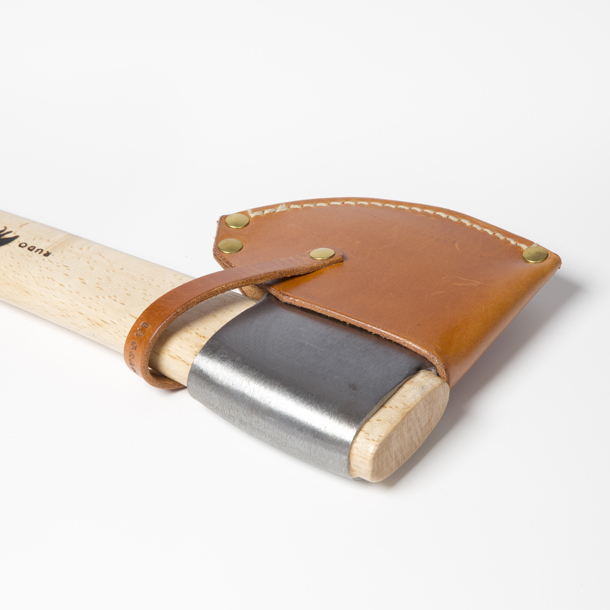 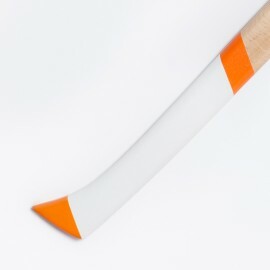 The size of the Pruning Axe is suitable for its use by one hand for pruning works. 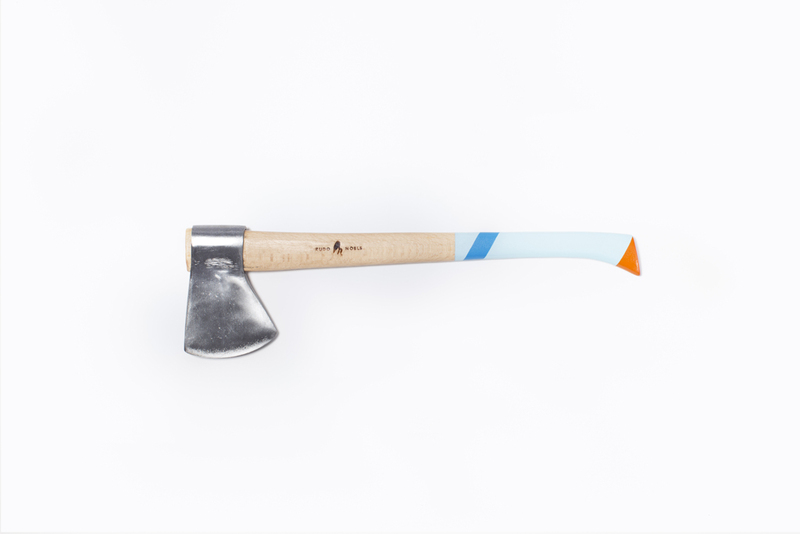 Versatile as none, the weight of the head joined to the slimness of the handle, makes this axe flies lightly and impacts with forcefulness. 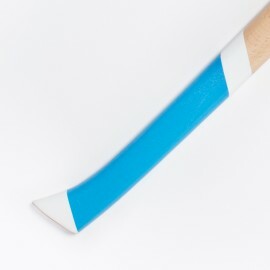 That’s how the first product of our line of goods has been manufactured. 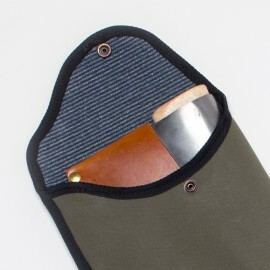 A tool that gathers three noble materials, wood, steel and leather, and the know-how of five artisans’ workshops that have chosen to live doing what they love. 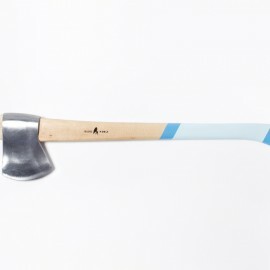 La Gran Vida —The Great Life— is the spirit that lives behind our axes and each of the goods of Rudo y Noble. 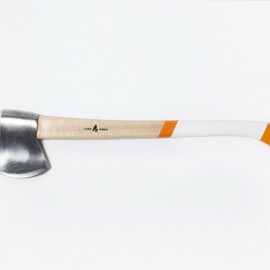 Estas hachas son como algunas mujeres. Preciosas, macizas, con fundamento, nacionales y de buen agarre. 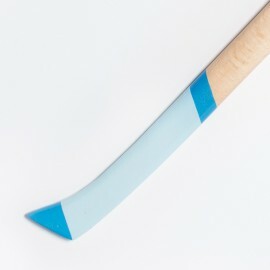 Gracias rudoynoble por el trato, la rapidez de envío y por hacer cosas así de especiales.